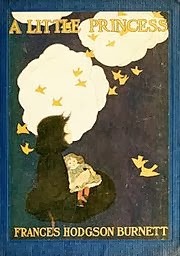 Come over and see my thoughts on A Little Princess, my latest read for the Top 100 Chapter Books Project at The Estella Society. Spoiler: I loved it! I love this book, too, even more than The Secret Garden I think. How is it that she's able to write of morality and goodness without sounding sappy? I wonder what my third graders would think of this today; I'll have to read it to them and find out. I know! It wasn't sappy or preachy or annoying at any point. It was just honest and touching and I loved that. I would love to hear what your kids think of it! I hope that some of them would really get the message from it.